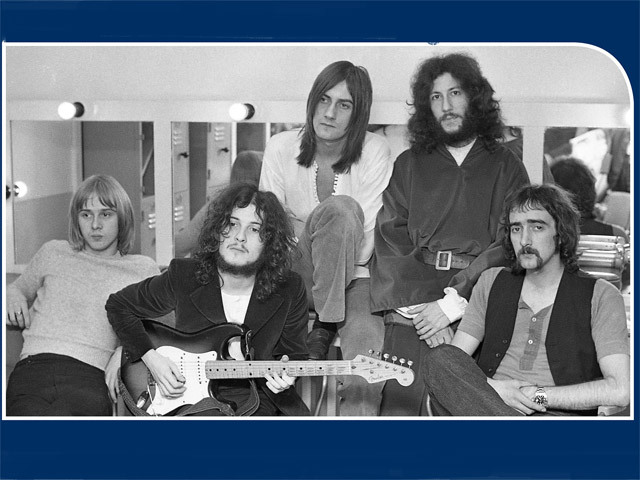 Two live recordings from 1968 and 1970 of Peter Green's Fleetwood Mac have recently been discovered, and are to be released as a 3CD Boxset on 7 June 2019, that will include rare band images and a brand new essay. This will be released alongside a triple heavyweight vinyl, entitled Volume One, consisting of the 1968 recording. Volume Two (the 1970's recording) being released at a later date, which includes additional previously unreleased demos. Both vinyl releases are on heavyweight vinyl. A live version of 'Albatross' is now available for download and streaming now. Not much is known about the live recordings. Discovered by pure luck and unlabelled and in the US, their era has been authenticated by experts of the band's Blues origins. Fleetwood Mac has given their full approval for the release of these tapes. Peter Green's Fleetwood Mac had a short but hugely prolific career, with the 1968 recording being at the early stages of the band, and the 1970 recording will, in contrast, be one of their final shows before Peter left the band. The recordings were discovered in incredibly good condition, considering they have been untouched for over 40 years, and they have been restored and provide a vital insight into the very earliest incarnation of one of the world's biggest bands. Founder member of Wishbone Ash, Andy Powell, who is regarded as one of the most innovative and influential rock guitarists of all time, deems Peter Green's guitar playing as his inspiration... "1967/68 was to be a seminal period of awakening for me. I was 17. There was so much musical intensity about music everywhere. I had spent those two summers going to festivals around the UK seeing Cream, John Mayall and Hendrix and I had been studying those players and their influences. I was lucky enough to have been at Fleetwood Mac's first gig at the Windsor Jazz and Blues Festival in 1967 and Peter Green's playing up close and personal, did it for me like no one else. It sealed my destiny and life's inspiration and purpose as a guitar player. "Guitar players ruled at that time, especially British guitar players. Peter Green was different. He appealed to me big time on that particular show because he was so modest, humble and yet fun loving. His tone and playing was deeply moving but he didn't seem to take himself too seriously. He seemed more human and approachable than some of the other guitar icons, so much so that at the end of their set, I was compelled to leap up on stage and (respectfully) pull him back on for an encore to the cheers of the audience. "That inspirational show fully set the wheels in motion for me in terms of wanting to be immersed in the feeling and intensity of my own guitar playing. I wanted to play with that kind of feeling that Peter so effortlessly displayed. I later got close, but never equal to him, in our band Wishbone Ash. Peter and Fleetwood Mac have been an endless inspiration on so many levels that I can't even begin to quantify it. To find out that there are previously unreleased Fleetwood Mac performances about to be available is truly exciting." Volume One, the 1968 recording, contains early incarnations of some of the bands most loved and famous songs including 'Madison Blues' and 'I Need Your Love So Bad' from the blues era and 'Long Tall Sally' and 'Willie And The Hand Jive' from the Rock 'n' Roll College of Music. Volume Two will feature the 1970 recording and will also feature demos and rarities of classic tracks including 'Oh Well', 'Green Manalishi' and the band's first UK number one 'Albatross'.